Every automaker is working in some way, shape or form to find new and more efficient ways to lower emissions in their vehicles. As stricter emissions regulations continue to become part of the automotive world the pressure is on to build a better gasoline engine or begin to the movement away from gasoline altogether. Because the infrastructure in place is so vast, it would be nearly impossible to simply abandon gasoline right now, which means automakers need to work toward cleaner burning engines to help reduce the amount of emissions produced from their vehicles. For well over 100 years the internal combustion engine has had specific characteristics. These include a piston which compresses the gasoline and air mixture, a chamber for the explosion of the mixture to take place and a spark plug to ignite the mixture and cause the explosion needed. Mazda is working on, and feels close to achieving, a new SkyActiv engine that will do away with one of these three main elements of what makes these engines work. Their next version of the engine technology they’re building will have no spark plugs at all. This may make you wonder how Mazda intends to create the explosion needed for propulsion. What Mazda is working on is the creation of an engine that will compress and combust without these spark plugs in much the same way as a diesel engine. This type of engine uses a process called Homogeneous Charge Compression Ignition (HCCI) and Mazda claims their new engine will be the first to make a practical application of this technology. 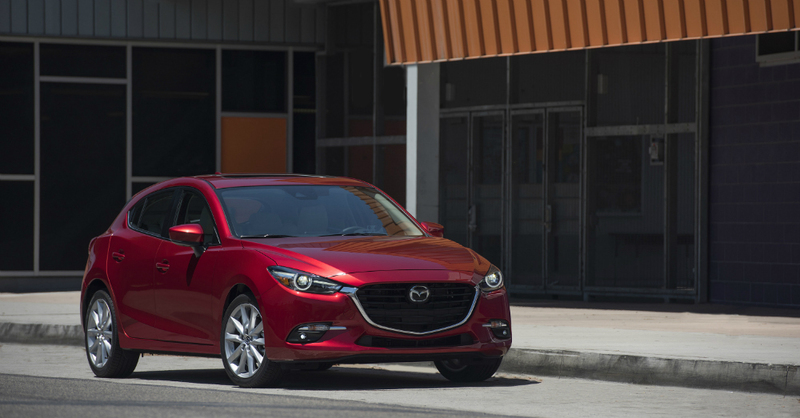 They have come so far with this technology already they expect to be able to offer it in the 2018 models of the Mazda 3, but that might be an overly aggressive target date. The process of HCCI is similar to knocking or pinging as the excess unburnt fuel of normal engines ignite because of excessive heat, but this will take place intentionally and in a controlled manner. This process creates a leaner burn and produces lower emissions which make it the right choice for the future and the increased regulations that are being placed on emissions. While these are exciting benefits of a new engine and combustion process, there are some questions and concerns regarding the use of HCCI in part of the market because of how the combustion is achieved in this new engine. The concerns lay in the need to cold start an engine that relied on heat and pressure to create the combustion needed. Does this mean there will need to be a spark initially to start the engine and one it reaches operating temperatures the spark is shut down? Does this mean you won’t be able to enjoy an HCCI engine in colder weather or climates? These are valid concerns and ones that Mazda has to address in order to bring about the next wave of engine technology that will make a difference in the market for a car that we all love, the Mazda3. Even with the concerns raised, Mazda is moving forward and feels the next generation of the SkyActiv engines will be ready in time for the 2018 model of the Mazda3. This certainly gives us something to look forward to. Hopefully they will be successful with this new engine that will be more efficient, just as powerful and offer lower emissions for us to enjoy. These benefits are certainly enough to make a huge difference and could be the way the gasoline engine continues to live on for several more years. What is the Kia Niro?